The neighbor of US Senator Rand Paul (R-Kentucky) may get charged with felony assault, after Paul was reportedly hospitalized with five broken ribs, three out of alignment. The attack allegedly took place as the senator was at home mowing his lawn. 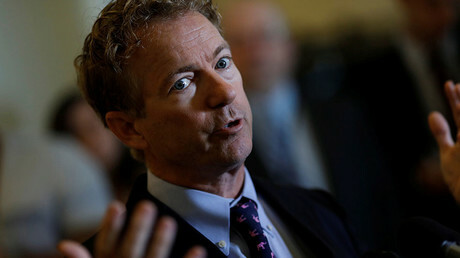 Kentucky State Police Master Trooper Jeremy Hodges said Monday that new developments in Senator Paul’s injuries could lead to a felony charge against Rene Boucher, the neighbor who reportedly tackled Paul at his Bowling Green residence on Friday, according to the Washington Post. 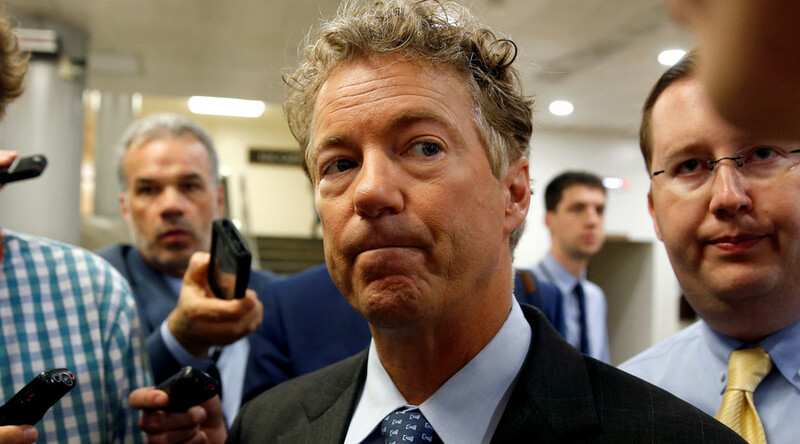 The five broken ribs included three displaced fractures, which could cause a fatal wound to the heart and lungs, Paul’s senior advisor Doug Stafford told the Associated Press on Sunday. Pain from the rib injuries is severe and can last for weeks or months, according to AP. Paul has bruised lungs, and the injuries could lead to pneumonia, Fox News reported Monday. Boucher, a 59-year-old retired anesthesiologist, currently faces a misdemeanor charge for fourth-degree assault. The criminal complaint said Paul, 54, was having “trouble breathing due to a potential rib injury,” according to the Post. A court date for Boucher has been set for Thursday. He has been out on a $7,500 bond since Saturday, AP reported. Boucher is under court order not to have any contact with Paul, his family or offices, or procure any firearms or any kind of weapon, the Post reported, according to Warren County-provided bond paperwork. Paul was allegedly wearing headphones when he was attacked while mowing his lawn, according to Fox News. Paul is a libertarian-leaning, conservative Republican, who recently shared the spotlight with President Donald Trump during the signing ceremony of an executive order cutting back portions of Obamacare, formally known as the Affordable Care Act. Paul and Trump have played golf together, but have also butted heads over details of key policies, including the current tax reform effort. Boucher is a registered Democrat, according to the Daily Caller. Despite the political differences of the next-door neighbors, Boucher’s attorney says Friday’s altercation was not related to politics. Baker also said that the two men have worked together. Paul is an ophthalmologist. Paul’s injuries may keep him away from the Senate at a time when his vote may be critical for the GOP and Trump as they aim to pass tax cuts by the end of the year.